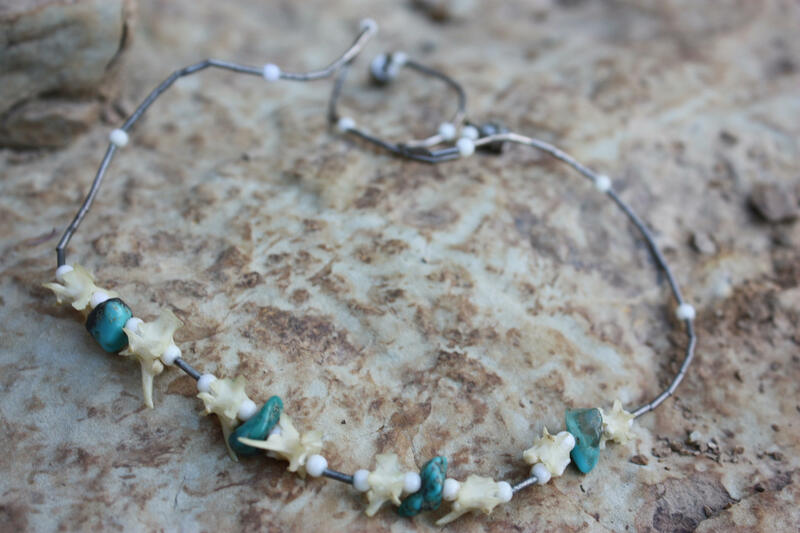 16 Turquoise, Silver bead and Vertebrae Bones Oddity Necklace. 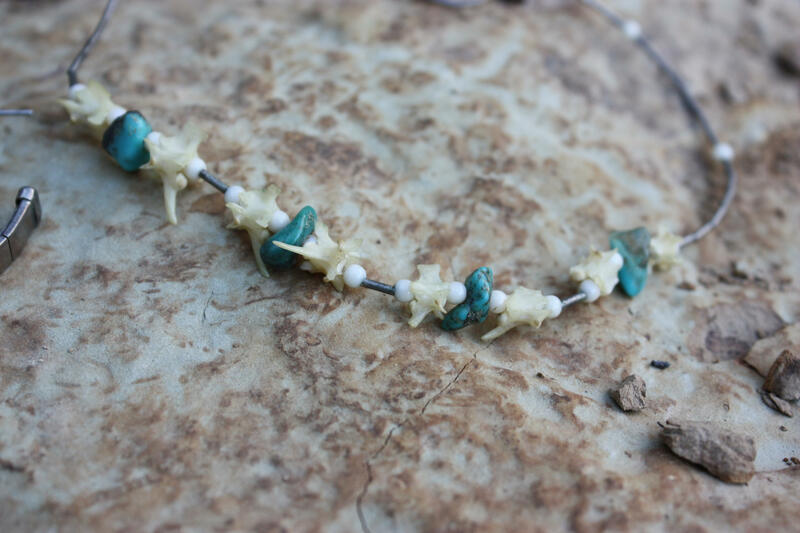 16" Turquoise, Silver bead and Vertebrae Bones Oddity Necklace. 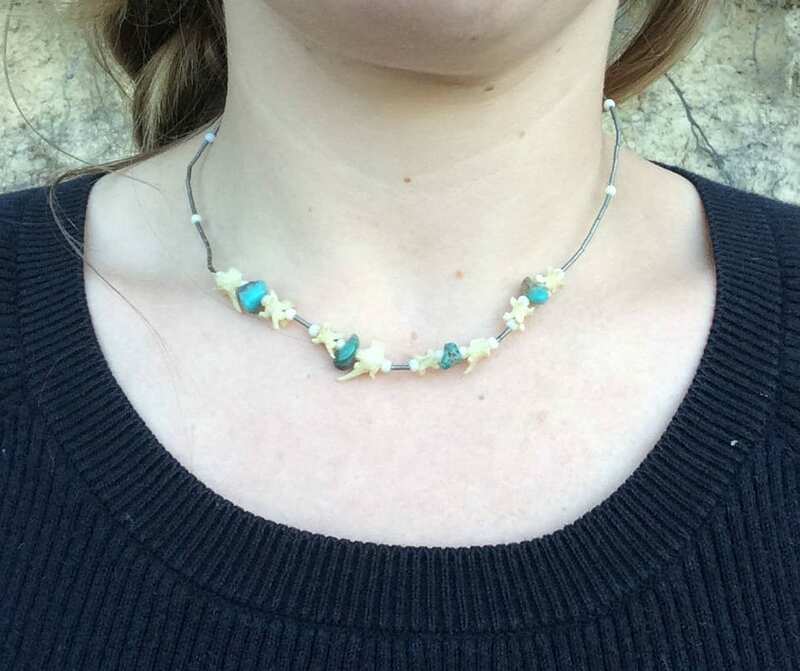 Unique necklace with vertebrae from a small animal, turquoise, white glass beads and silver beads. 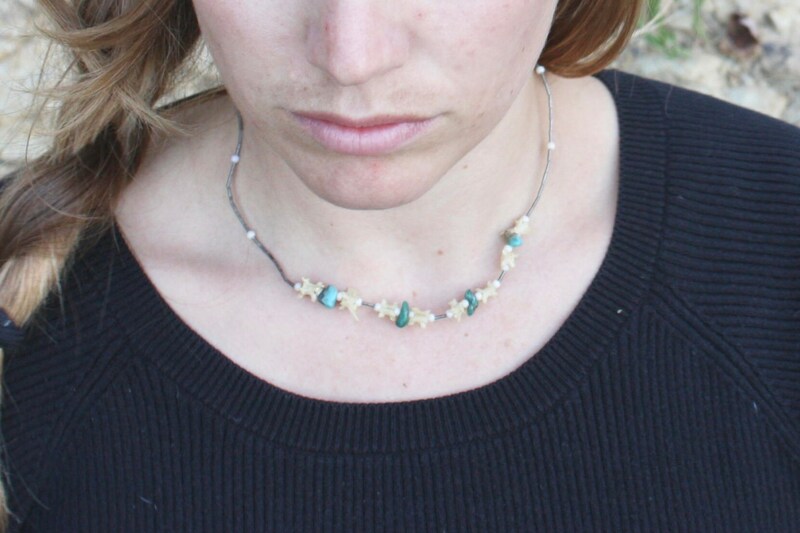 Screw together clasp.